Last week we had the pleasure of participating in some great events with our educational communities. 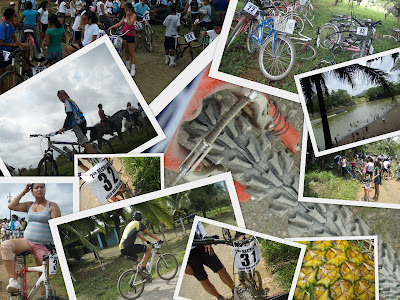 On Wednesday the schools celebrated National Day of Sports and on Thursday our colegio (high school) hosted its second annual mountain bike ride. We had a great time with our students, but with the incredible heat that overtook our region last week we were exhausted by the time Friday rolled around. 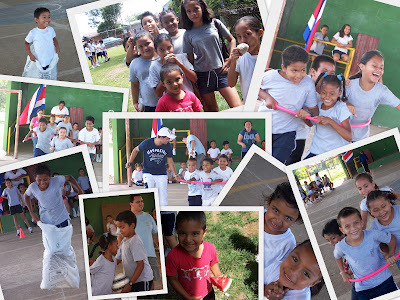 We spent all of Wednesday, National Day of Sports, at our escuela (elementary school) and since they have two groups of students that cycle through each day, we were able to do everything twice. The easy part was being line judges for relay races (sack races, hula hoop races, and clothes races); making sure students came all the way to the turn around point and tagging our hands before continuing on their way. The challenging part was leading two aerobics classes for students and teachers (roughly 150 individuals ranging from 4 to 54) and playing in two teacher v. student soccer games. We had a blast with these more physical activities but the kids definitely have more energy than we do! On Thursday we arrived at the colegio shortly after 7am to stand in line to register and buy our numbers for the mountain bike ride. 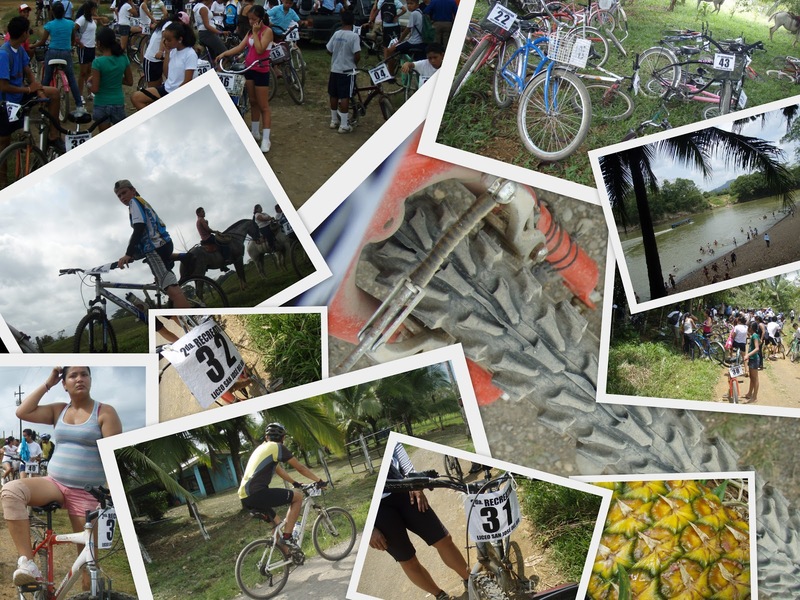 There were about 75 or 80 students that showed up that morning with their bikes, ready to ride the 15 km that covers rough terrain, big hills and most importantly passes by the river where an obligatory break and swim take place! My bike revolted on the ride - I managed to puncture a tire in one of the rougher areas that we rode through and I lost one of my bike pedals, but we both made it home in one piece. The break at the river lasted for about an hour and included a refregerio (snack) of fresh fruit served out of the back of a truck, the throwing of several students into the water (not by us - by other students) and just hanging out on the beach. We returned to the colegio in time for lunch and raffle prizes and then promptly rode home to enjoy cold showers. The Wild Things Come to La Colonia!